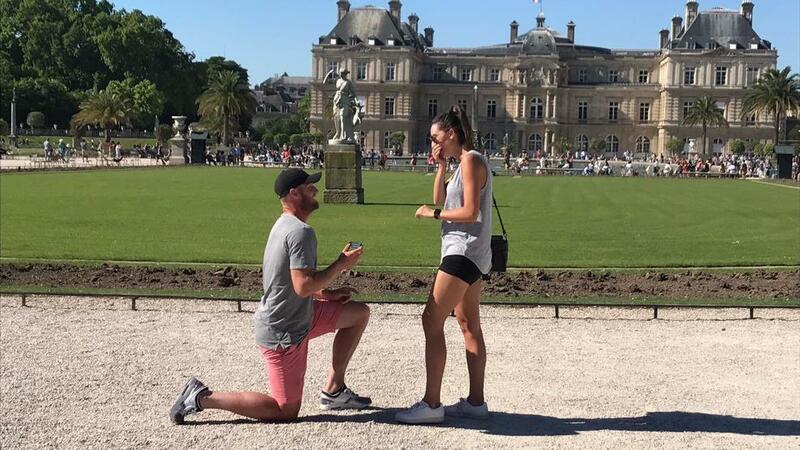 Sam Groth popped the question to girlfriend Britt Boys on Friday afternoon at the picturesque Luxembourg Gardens in Paris. "She said yes!!!" Groth told us. Congratulations Sam and Britt! We can't wait to follow your engagement this year on My Tennis Life. "Proposing to the love of my life... she said yes!!!"